Art glass ranges from the affordable to the sublime. Learn more about makers, values and its history here. Bedroom and bathroom glass combines Depression glass, elegant glass, and art glass into an interesting and functional collecting genre. Sure it sounds fun, but have you ever wondered just how carnival glass got its name? Collectible glassware attracts numerous fans, and with good reason. The colors are simply beautiful. 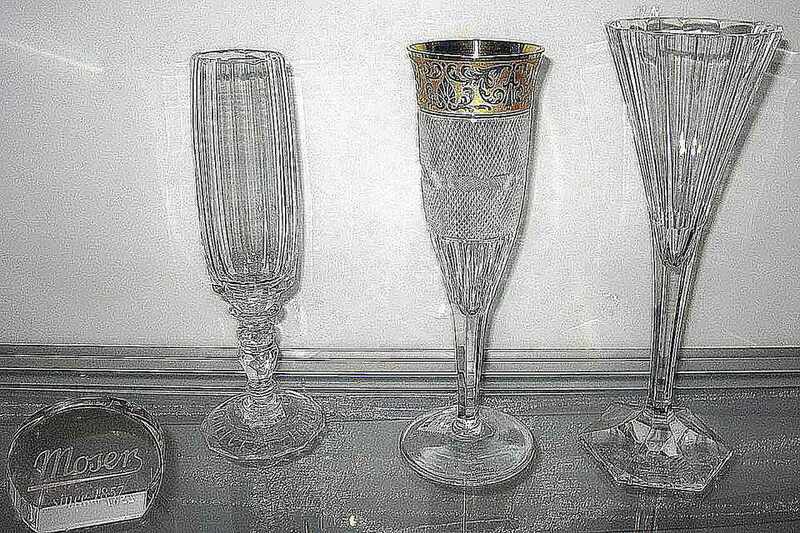 The beauty of cut glass has been gracing elegant households for more than a century. A perennial favorite with collectors, Depression glass holds an interesting history and lots of options for collecting. The wares of elegant glass companies delight collectors not only with color and sparkle, but superb quality. Kitchen glassware enthusiasts find that their collections are not only out of the ordinary but functional as well. What Makes a Swig Swanky? From About.com, pictorial price guides to help you identify and value your glassware. How Much Are Steiff Animals and Dolls Worth?